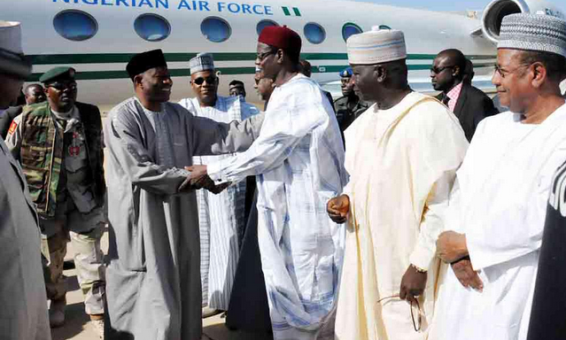 The Nigerian State House has just released a report concerning President Goodluck Jonathan's visit to Maiduguri ealier today. The president undertook the trip after attending a ceremony in Abuja that had the Vice President, Namadi Sambo, and other officials present. 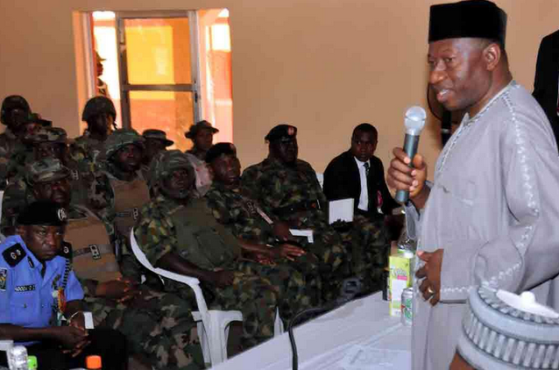 President Goodluck Ebele Jonathan undertook a surprise visit to Maiduguri Thursday on the occasion of Nigeria’s Armed Forces Remembrance Day to meet with officers and men of the Armed Forces currently in the frontline of the war against terrorism and insurgency in the country. 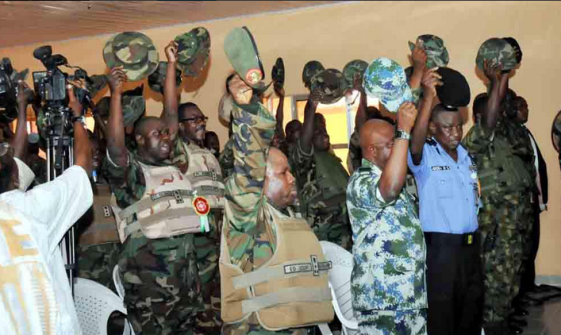 Describing the troops as a special breed of men who were undertaking a great assignment for their fatherland, the President assured them that all necessary action was being taken to address challenges facing them in their operations against Boko Haram. 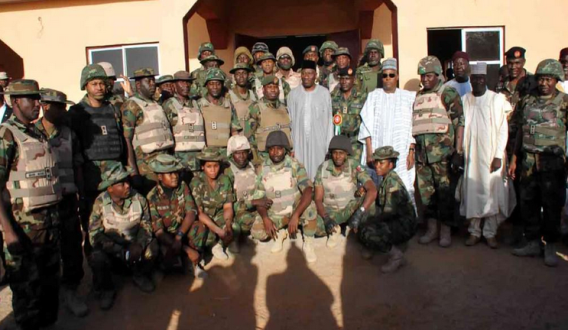 “In terms of equipment and logistics, we have already made considerable progress since the insurgency started and we will continue to improve in that regard until your operations are successfully concluded,” he told the soldiers. 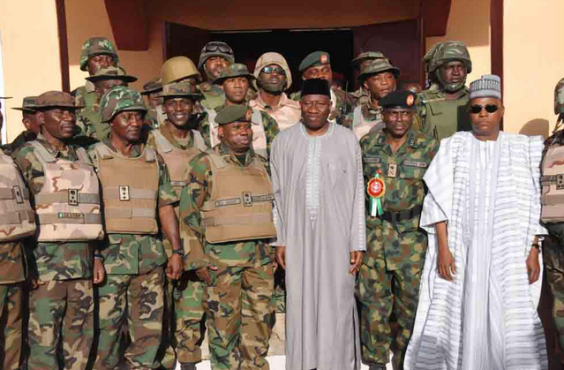 President Jonathan also toured wards of the 7 Division Hospital and Medical Services Centre where he met with soldiers recovering from injuries sustained in operations against Boko Haram. He wished them speedy recovery. 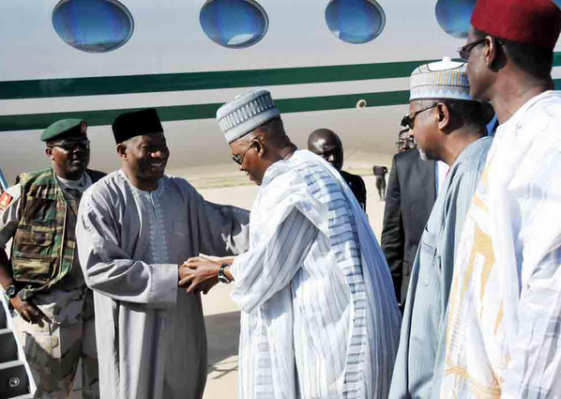 Before leaving the Borno State capital, President Jonathan visited over 900 displaced persons from Baga at a camp in the city. The President commiserated with the displaced persons on the losses they suffered during the attack on their town by Boko Haram. He promised them that the Federal Government will strive to make their stay in the camps more comfortable while it continues to do all within its powers to restore peace and security to enable them return to their homes soon. “Terrorism and insurgency have been very traumatic for all of us. I feel particularly disturbed when I hear of our people being displaced within their own country. “I assure you and other displaced persons that Government is working very hard to ensure that you do not remain in these camps for too long. “I know that many of your houses have been destroyed. We will assist you financially so that you can rebuild your homes and return to them gradually,” President Jonathan told the displaced persons. The President thanked the Red Cross and other international organizations who have been assisting in the provision of relief materials to the displaced persons. He also charged local, state and federal government officials to work with greater harmony and cooperation in rendering support to the displaced persons. “I do not want to be hearing conflicting reports on support being given to them. Government is one and we must all work together to assist our people whenever the need arises. 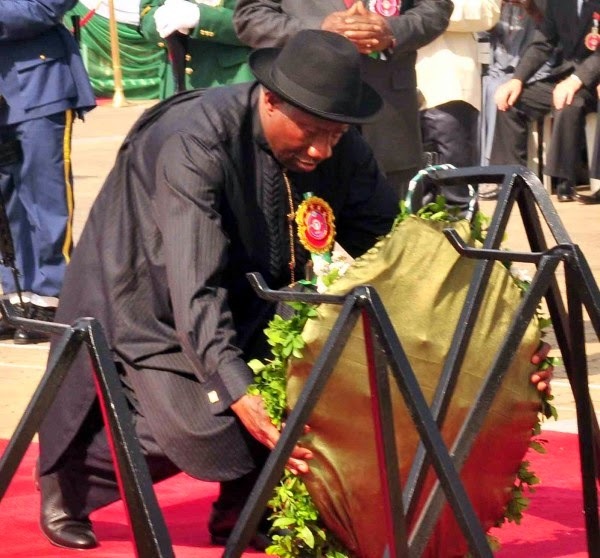 “We must cooperate maximally and work together at the local government, state and federal levels to ensure that our people who are unfortunately displaced from their homes get the best possible treatment,” President Jonathan said.